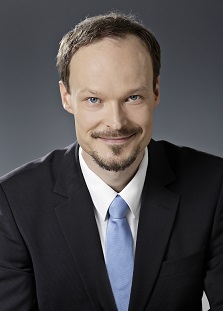 First prize winner of the 2004 Lappeenranta Solo Voice Competition, Finnish baritone Ville Rusanen began his musical studies as an instrumentalist, playing the double bass at Kuopio Conservatory where he also studied singing under Pertti Rusanen. He moved to the Sibelius Academy to study singing in 1999 where he was taught by Jorma Hynninen, and then later by Päivi Nisula. Ville Rusanen is a regular guest at Finnish National Opera where he has recently sung the title role in Rautavaara's Aleksis Kivi and Sid in Albert Herring this season. Other roles to date include Figaro (Il barbiere di Siviglia), Papageno (Die Zauberflöte), The Forester (The Cunning Little Vixen), Schaunard (La bohème), Marco (Gianni Schicchi), Figaro (Le nozze di Figaro), Dancairo (Carmen), Ottokar (Der Freischütz) and Guglielmo (Così fan tutte). Outside Helsinki, Ville Rusanen garnered excellent reviews for his appearances as Guglielmo in David McVicar's production of Così fan tutte for Scottish Opera. In 2010 he made his debut with De Nederlandse Opera in a new opera by Alexander Raskatov - A Dog's Heart. In concert, Ville Rusanen has performed Fauré's Requiem, Brahms' Ein deutsches Requiem, the St John Passion, the St Matthew Passion, Carmina Burana and Sibelius' Kullervo. He made his London debut at the 2007 BBC Proms in a performance of Sibelius' The Tempest with the Lahti Symphony Orchestra conducted by Osmo Vänskä. Recipient of a scholarship from the city of Kuopio, Ville Rusanen has participated in master classes with Roger Vignoles and Olaf Bär and studied Lieder with Ilmo Ranta. He won first prize in the Lied duo (accompanied by Ilmari Räikkönen) category of the 2002 Erkki Melartin Chamber Music Competition.